Alzheimer’s is like cancer. We all have been touched by it, or know someone who has been. Design Lead, Kaitlyn Marquette’s grandmother succumbed to the disease in 2009 after struggling for several years as it stole her mind. 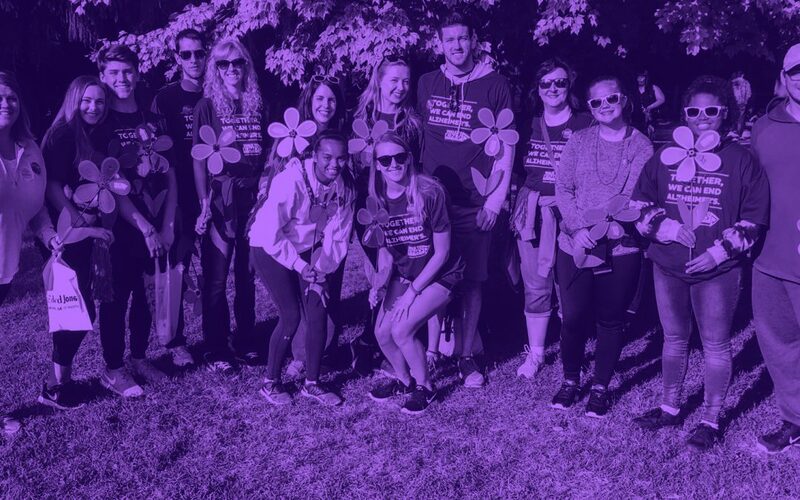 It’s a pretty devastating thing to witness, and although science is making some clear progress in understanding and treating Alzheimer’s, Kaitlyn and her 15-member team – Brown’s Brainiacs – will walk again this year to stamp it out. Her team was formed in 2017, but Kaitlyn has walked as an individual since 2011. Helen Brown, Kaitlyn’s late grandmother, is the spiritual leader of the team, which includes many of Kaitlyn’s friends and family. Her aunt, Helen’s middle child, and her husband and daughter, all coming from California will be walking for the first time this year! The Detroit Walk to End Alzheimer’s will take place at 7:00 A.M. at the Detroit Zoo, on Saturday, August 25. Kaitlyn is proud to be part of the local initiative which raised $631,000 in 2017, far exceeding its ambitious $600,000 goal, and ranking in the top 30 out of the more than 600 walks nationwide. All in efforts to find a cure and bring an end to this heartbreaking disease! Kaitlyn is also an active volunteer at Woodside Bible Church, where she is on the graphics team for the young adult ministry, creating event graphics for programs and the church’s social-media channels. Should you be inclined to support The Walk to End Alzheimer’s, the website for Brown’s Brainiacs can be found here.